Nice indeed. Love the red against the green. Well spotted. I like this! 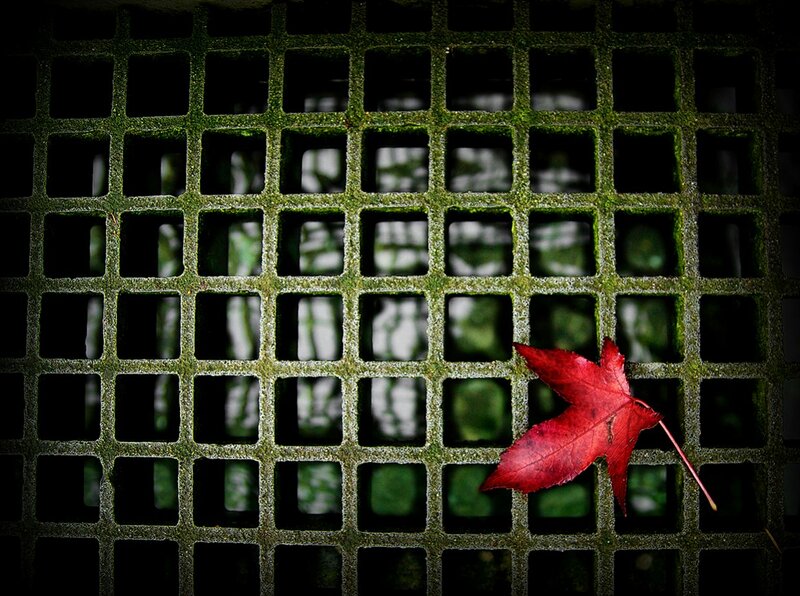 Good contrast between the colors and the hard lines of the man-made grate against the organic shape of the leaf. A good find! Well done, you also got the splash of red in there rule too.